Keeping track with the latest market development we are actively engaged in offering supreme quality Water Distillation Unit for Agricultural Industry. The provided distillation unit is manufactured by using premium quality components and advanced technology under the vigilance of adroit personnel. Our offered distillation unit is used for the purification of water and the water obtained from these de vices is known as distilled water. 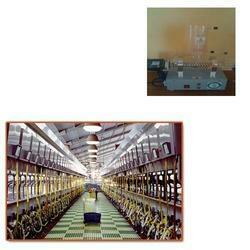 Besides, customers can avail this distillation unit from us at pocket friendly prices. Looking for Water Distillation Unit for Agricultural Industry ?